Chrisco Cleaning Services is a leader in providing top-quality office cleaning services in Birmingham. We provide Professional office cleaning services primarily for the Birmingham and Black Country regions.. Through hard work, experience, professional attitude, and outstanding customer service our clients rank us number one in office cleaning. No job is too small or too big for us., we service all types of businesses from property management company, small offices, to building owners in commercial, institutional and industrial markets. We meticulously clean your facility in order to reflect a professional image for your clients and employees. We have found that productivity rises when your employees work in a healthy, clean environment. This is important to you as well as to us. Our office cleaning service in Birmingham is fully insured, and provides liability and property damage coverage. All of our employees are insured, and highly trained to provide you with excellent customer service. We also train our employees in the most modern and effective office cleaning techniques, correct product usage, and safety procedures. All cleaning service plan specs are performed to the highest industry standards. Our attention to detail guarantees that the job will be done right the first time. Our quality control program demonstrates how seriously we take office cleaning. We perform onsite inspections and constantly monitor our work. Should any area fail to meet our strict office cleaning standards, it is immediately corrected. Take advantage of our customized office cleaning service program. We will help you plan a cleaning program to suit your company’s needs and budget. Whether you require daily office cleaning, weekly or monthly service, or just one-time only, office cleaning service. We deliver office cleaning service in Birmingham at an affordable rate. As the top rated office cleaners in Birmingham and surrounding areas, Chrisco Cleaning Services Ltd. offer customized solutions for all our commercial customers. We have the equipment and personnel to handle the biggest jobs for office cleaning in Birmingham. As vouched by our long list of satisfied customers we do not take any job; big or small, lightly. We plan, customize and execute our cleaning programs and ensure highest level of cleaning standards; no job is complete unless it is perfectly done. Each area of the office is inspected and the cleaning procedure including equipment, chemicals and routines are planned meticulously. Areas that have more traffic and foot falls are given special attention. While a sparkling clean office is not only good for the people who work there and also who visit, it is also necessary for the image of the company that it represents. A shoddy, unkempt workplace would give a very negative image of the company and would further be detrimental for the business that it undertakes. For any kind of office cleaning in Birmingham, just call Chrisco Cleaning Services Ltd. We can take up regular cleaning programs or a one time job and make your office spotlessly clean. 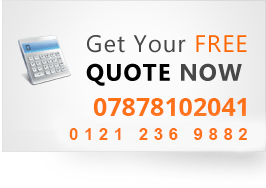 Call us today for your office cleaning in Birmingham on 0121 236 9882.